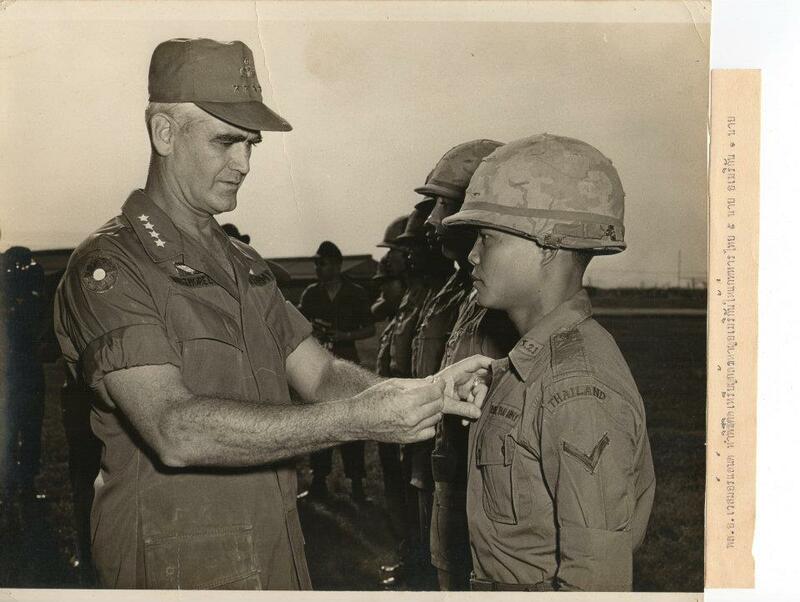 Thailand’s attitudes and actions towards the Vietnam War was best described by Thai Foreign Minister, Thanat Khoman in an interview to the ABC Scope program in May 1967. He explained that Thailand was very much a voluntary and active participant in the Vietnam War. His reasoning behind these actions was both as a means of defense of its own borders as well as helping to bring stability to the region as a whole. Thailand had a different outlook to many of its neighboring countries. It had never been under colonial rule and therefore did not have the anti-colonial antipathy towards the new perceived colonial conqueror – the United States. Instead Thailand saw the United States as the only power who could help stave off the seemingly relentless advance of communism. It was a monarchy with a government of both civilian and military participation and very strongly anti-communist. Geographically it held a strategic position with regard to the attempts to stem the communist spread throughout Southeast Asia. It shared a common border to the east with Laos and Cambodia and its airfields, from which American planes took off to bomb communist targets, were only 18 minutes flying time from North Vietnam. In the wake of World War II, Southeast Asia witnessed rapid growth and expansion of communism under the influence of Soviet Union and China. North Vietnam, receiving massive support from these socialist countries, formed many warring groups such as Viet Cong, Khmer Rouge and Pathet Lao to forward its causes – one to annex South Vietnam. Thai Government anticipated the foundation of communist regime in China, the deterioration of French colonist rule in Indochina and hegemonic ambitions of North Vietnam as an emerging threat. Thailand’s worries escalated when communist North Vietnam launched large-scale overt and covert operations in South Vietnam and adjoining areas including Cambodia, Laos and hinterlands of Thailand. 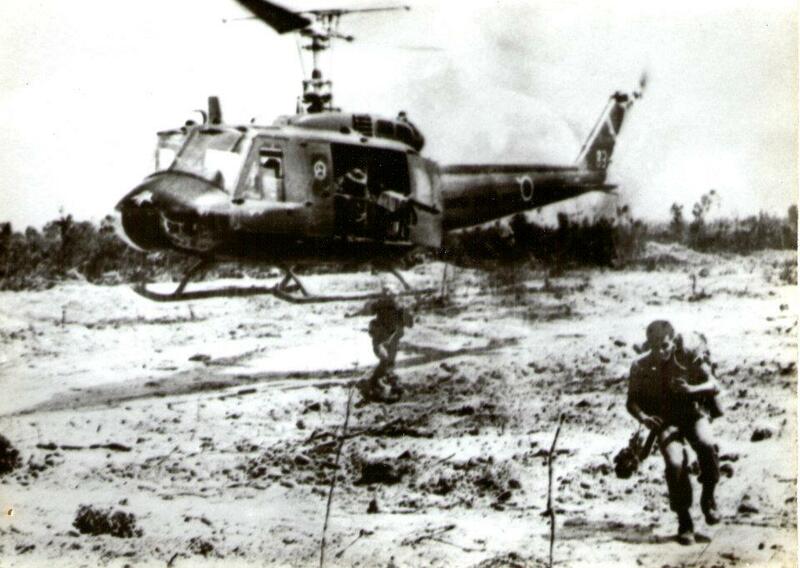 The rapid advancements of guerrillas and regular troops of North Vietnam exposed Thai frontiers. In 1961, the Communist Party of Thailand (CPT) revolted against the Thai government and began an armed struggle. Many other communist groups, emboldened by the rise of communism, fanned insurgency in Northeastern provinces of Thailand. Northeastern Thailand, comprising 15 provinces and bordering Laos, was the most vulnerable place to the communist terrorists and soon became the newest target of communist subversion. This was a backward region populated by people having pro-communist affiliations and sentiments. An editor of Bangkok Post newspaper in an interview with a foreign correspondent reiterated the sensitivity of these provinces to the communist threat as there was an expected presence of around 1,500 communist guerrillas. To counter this guerilla threat, Thai government deployed 30,000 men comprising regular Army and Police personnel escorted by helicopters (Ibid). Thailand has long developed a close tie with the United States. In fact, they signed the Treaty of Amity and Commerce in March, 1833 – the first U.S. treaty with a country in Asia. This relation was developed further since World War II as reflected in multiples treaties, economic and military assistance between the two. Thailand had already formed a formal alliance with the United States since 1954 as they joined the Southeast Asian Treaty Organization (SEATO) upon the discovery of the “Thai Autonomous Region” group founded in South West China. Thai and American leaders saw eye to eye and need to stop communist expansion in Asia. Thailand, given its strategic geography and communist threats inside the country, played a crucial role in American strategies in Southeast Asia. Thailand provided Air and Ground bases to the United States, and soon became the largest station of the United States Air Force in Southeast Asia. From 1961 to 1975, the United States installed 7 air bases at Korat, Udon Thani, Nakon Phanom, Ubbon Ratchathani, Khon Kaen, Utapao and Bangkok. Among them, Utapao was a B-52 air base that had great strategic importance (Hunchangsith, 1974). Thai officers commanded each base although the activities were largely carried out by American’s. These bases had more than 400 aircrafts and 25,000 service personnel (Kislenko, 2004). Thai Air Force not only maintained his own planes at each base but also had the task of providing group and air security for the huge installations. More than 80% of the airstrikes on North Vietnamese Army and guerrilla camps were carried out from these Thai bases (Randolph, 1986). In 1969, Thai government deployed more than 12,000 combat troops, which included Queen’s Cobras and Black Panther Division of Royal Army Volunteer Force, to counter the guerilla forces in the South Vietnam. Additionally, it had also dispatched around 26,000 volunteer recruits (Aspinall, 2010). The number gradually peaked to 15% of the total Thai regular Army by 1971 (Kislenko, 2004). They got training from the United States Army in the training camps set up close to the borders. The U.S. deployed US 606th Commando squadron to train Thai forces in anti-insurgency operations (Stanton, pp. 278-280). In addition to the ground troops, Thai Air Force crews were also trained and deployed, under the project named “Project Water Pump”, to attack guerrilla hideouts in Laos and neighbouring strongholds (Castle, 1993, pp. 73-74). The exit of Thai troops from South Vietnam completed in April 1972 (Kislenko, 2004). Thai troops comprising regular and volunteer men proved more effective and deadly against the guerrillas due to awareness of local geography and culture of the region as compared to the U.S. troops who were alien to the region. However, Thailand’s involvement in the direct conflict was not without cost. As a reaction to Thai aggressive policies, guerilla attacks in its North-eastern borders of Thailand multiplied and their presence increased in thousands – penetrating Laos and Thai soils. In 1967, 138 people including 78 government officials were assassinated by guerrillas in the bordering regions (Kislenko, 2004). These guerrillas were allegedly receiving training and aid from North Vietnam and People’s Republic of China. Moreover, they even received support of various communist groups within Thai soils. A guerilla attack on Udorn air base caused the loss of several US C-141 and F-4D aircraft as well as HU-43 helicopters and wounded 5 service personnel of the US and Thai forces (Administrative History of the United States Information Agency, Volume 1). The insurgents launched several similar attacks at several bordering locations and villages in Thailand and Laos. In total, 351 Thai troops were killed in action while some 1,358 men wounded in the Vietnam War. Thailand received handsome financial support from the United States worth more than $2 billion in total assistance, in which its biggest share was allocated to counter insurgency and anti-guerrilla operations in South Vietnam, Laos and Cambodia. In 1963, a specialized programme was designated by U.S. Military Commander in Chief Pacific (CINCPAC) for Thailand’s counter-insurgency operations, allocating $700 million over six years (Kislenko, 2004). This financial spending by the United States made up 26% of the total exports value to Thailand that later gave an economic boost to the Thai economy. North Vietnam finally succeeded in reunifying Vietnam in April 1975. Emboldened by its victories and exit of American troops, North Vietnam expanded its influence and range of military activities in the region. Thailand had to face the wrath of insurgents within its frontiers for years after war. Most of all, its direct involvement in the conflict proved too costly for Thailand in form of political, economic and human loss, but nevertheless, opened up doors for foreign aid and assistance that later thrived the Thai economy. Castle, T. N. (1993). At War in the Shadow of Vietnam: US Military Aid to the Royal Lao Government 1955-1975. New York: Columbia University Press, 1993. Hunchangsith, B. (1974). Economic Impact of the US Military Presence in Thailand. Claremont University. Kislenko, A. (2004). A Not So Silent Partner: . Thailand’s Role in Covert Operations, Counter-Insurgency, and the Wars in Indochina . Randolph, R. S. (1986). The United States and Thailand: Alliance Dynamics 1950-85. Berkeley. Senate Committee on Foreign Relations. (1973, April). Thailand, Laos, Cambodia, and Vietnam. Washington DC, The United States: Government Printing Office. Stanton. Green Berets at War.